Sergio Ramos has welcomed reports that Manchester United will sign Antoine Griezmann from Atletico Madrid in the summer transfer window. The Atletico Madrid striker’s future has been a.source of regular speculation throughout the 2016-17 season after Griezmann impressed during the European championship on French soil last summer. The France international has been heavily linked with a move to Old Trafford as Jose Mourinho looks to bolster his attacking options ahead of a return to the Champions League. Griezmann fuelled speculation suggesting that a move to Manchester United could be on the cards when the striker rated his chances of a move to Old Trafford as “six out of ten”. According to speculation on Tuesday evening, Griezmann has asked to leave Atletico Madrid after los Rojiblancos finished in third place in La Liga in the 2016-17 campaign. And Real Madrid defender Ramos admits he would be pleased to see Griezmann move to Manchester United and give los Blancos one less problem to deal with next season. 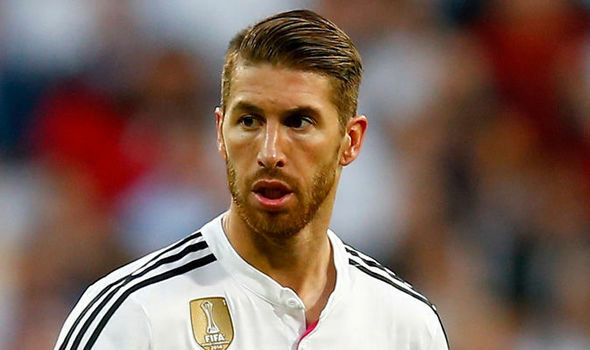 “Every player is their own world, each one must decide where they want to play,” Ramos told Metro.